At the beginning of the year in kindergarten we are definitely working on counting and writing our numbers! 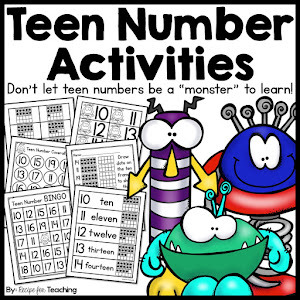 I love using hands on materials to help my students with their counting. And we definitely love using food to help us with our counting!! 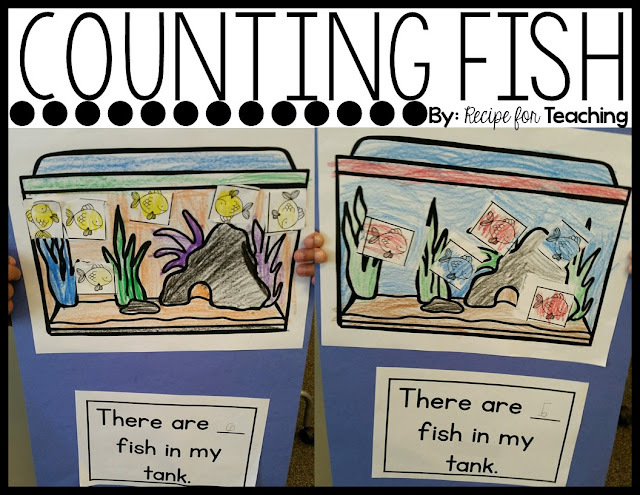 For this lesson, we began by counting with goldfish crackers. My students worked in partners. They took turns rolling the dot cube and then they each counted out the number of fish to match the number of dots. They told their partner how many were in their tank. 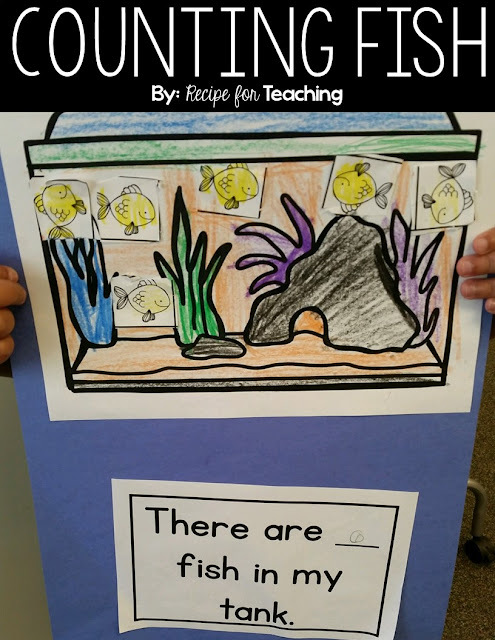 We did this lesson for a few days and we definitely enjoyed a goldfish snack after - yum! 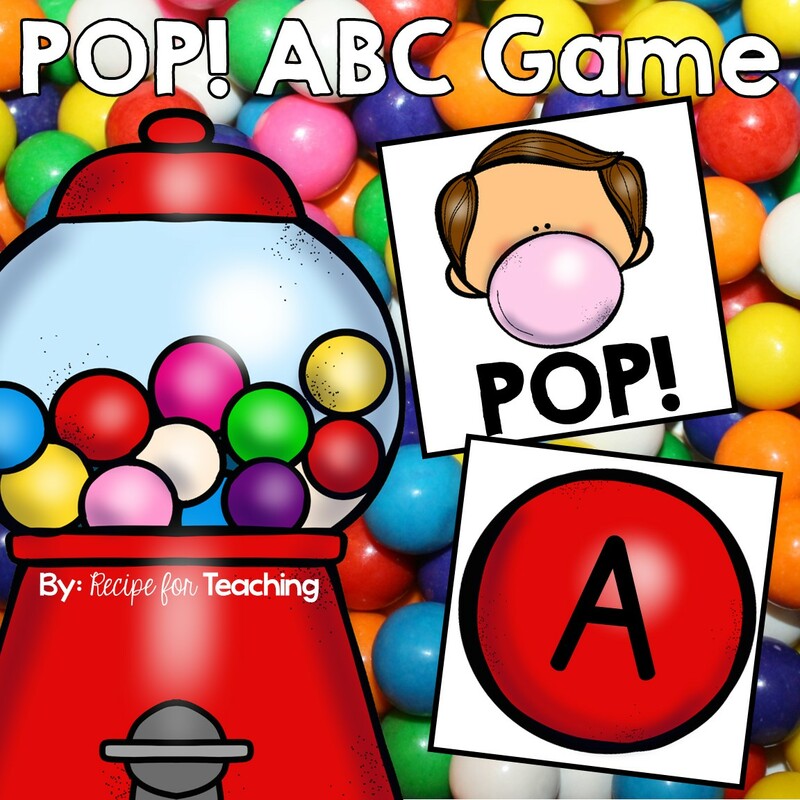 *You can easily differentiate this lesson by giving students two dot cubes to roll or a dot cube with numbers on it instead of dots. After counting with goldfish snacks, I wanted a fun assessment piece that my students could do independently. This was also our first time using scissors and glue, so I wanted to quickly assess that. I gave my students the following materials: blue construction paper, a goldfish tank, 10 goldfish, and a recording sheet. 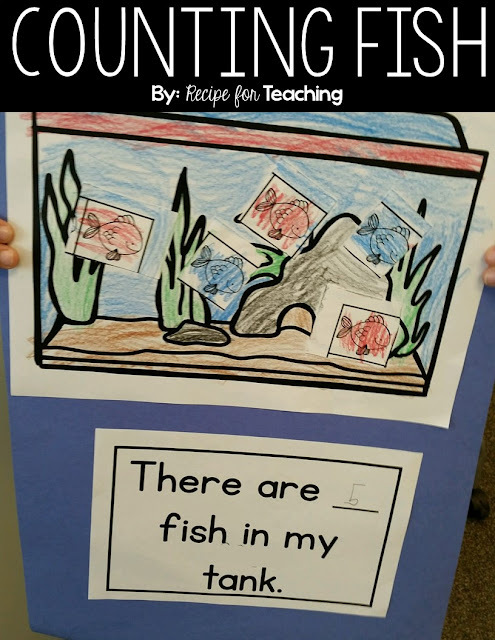 I let them choose how many fish they wanted to put in their tank and then they recorded the matching number on the recording sheet. They turned out so cute! And they make our hallways look so nice! It's a "School of Fish!" 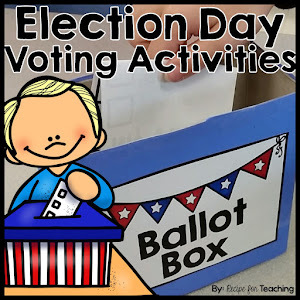 If you want to do this activity with your students, I have it as a FREEBIE for your in my Teachers Pay Teachers Store! Just click the image below to download! Hope you are having a great start to the school year! !